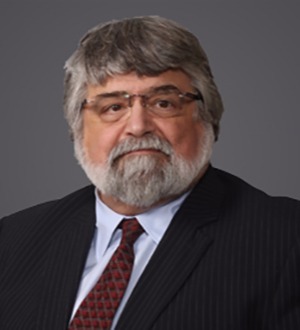 Tom Christina counsels clients on plan design, regulatory, operational, and compliance issues relating to employee benefit plans of all kinds, including defined benefit and defined contribution retirement plans with benefit structures tailored to individual client needs. In addition, he advises employers regarding the employee benefits aspects of mergers, acquisitions, divestitures, and corporate reorganizations. Mr. Christina also represents employers and plan administrators in benefits-related controversies, including disputes with multiemployer pension plans involving assessments of “withdrawal liability” under the Multiemployer Pension Plan Amendments Act of 1980.Since 2010, Mr. Christina has counseled employers and industry groups on regulatory and compliance issues under the Affordable Care Act. He speaks and writes frequently on specific aspects of agency guidance under the Act, such as grandfathered health plan status, implementation of mandated coverage terms, and planning for employer mandates that become applicable in 2014. Mr. Christina has represented clients in appellate matters for more than 25 years, in cases before the U.S. Courts of Appeals and the Supreme Court, spanning a wide range of legal issues. Most recently, he submitted an amicus brief to the Eleventh Circuit on behalf of the South Carolina Chamber of Commerce in Florida v. HHS, urging the court to rule that the Affordable Care Act is invalid. In the Supreme Court, Mr. Christina wrote an amicus brief supporting the petitioners on Severability, which was filed on behalf of the Competitive Enterprise Institute, Thomas P. Miller of AEI, and nine other healthcare finance experts. He also was of counsel on an amicus brief supporting the States on the Medicaid Expansion question in that case, which was submitted on behalf of more than 50 members of the Indiana legislature and the James Madison Institute.Mr. Christina also is a member of the Firm’s Government Affairs practice. He represented the interests of small and independent business during the legislative process leading up to the adoption of the Affordable Care Act. He advises business groups that submit comments on proposed regulations under the ACA, seeking to curb some of the regulatory excesses of the agencies with rule-making authority under the Act. In addition, he has written and spoken on strategies for employer groups to protect their interests in the face of regulatory over-reaching by the National Labor Relations Board.During the Reagan Administration, Mr. Christina served as a Deputy Assistant Attorney General, and later as an Associate Deputy Attorney General, in the U.S. Department of Justice. He writes and speaks frequently on regulatory, legislative, and Constitutional issues affecting the employer community, and has been quoted in media outlets such as the Wall Street Journal, the Washington Post, and Investors Business Daily.